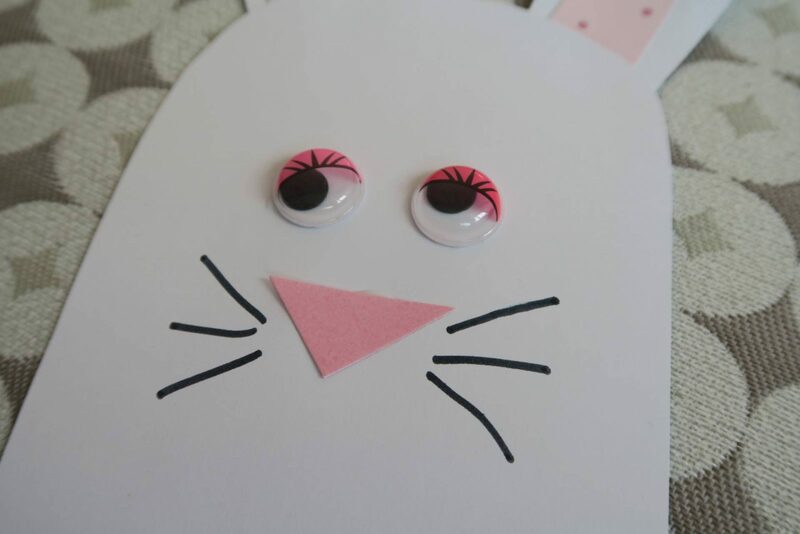 Easy Toddler Easter Craft…Hiding Bunny! 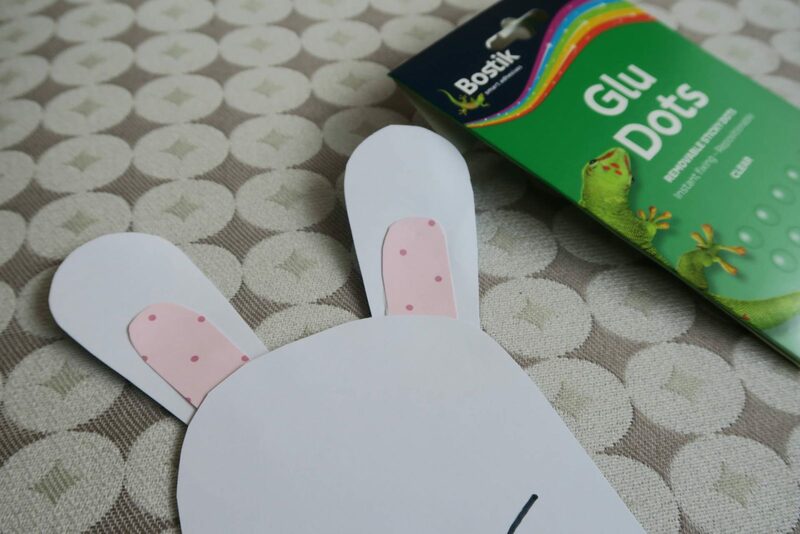 This month the lovely people at Bostik sent us a box of materials to make some Easter crafts. Easter is one of my favourite times of the year, the weather is getting warmer, we get a nice long break, there is lots of chocolate around and we all have a spring in our step! At the moment Alice is definitely the more crafty one out of my two girls, but Holly is now showing more interest and has the concentration span to sit and do it. 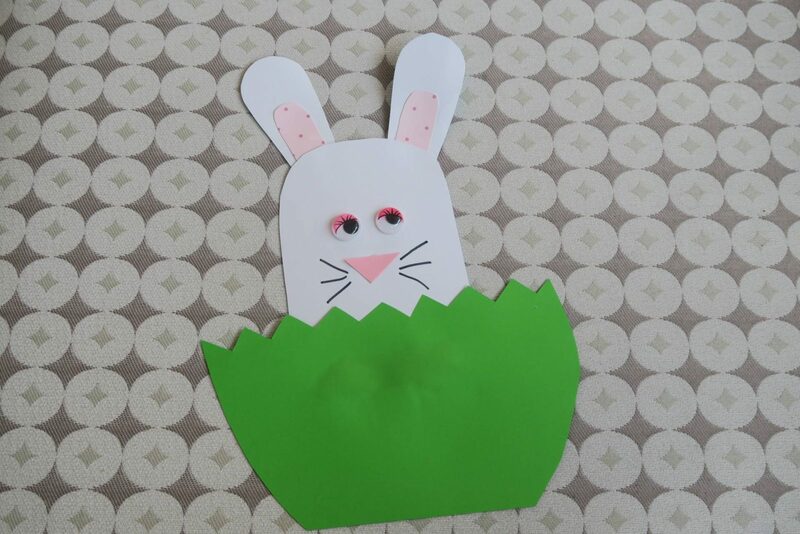 So, with this in mind I went for a nice easy Easter craft that Holly could do. Holly is two years old. 1. Cut the paper or card into the required shapes, I did this before I got Holly involved as she is only two and wouldn’t have managed it. For older children they would be able to do this with you. 2. 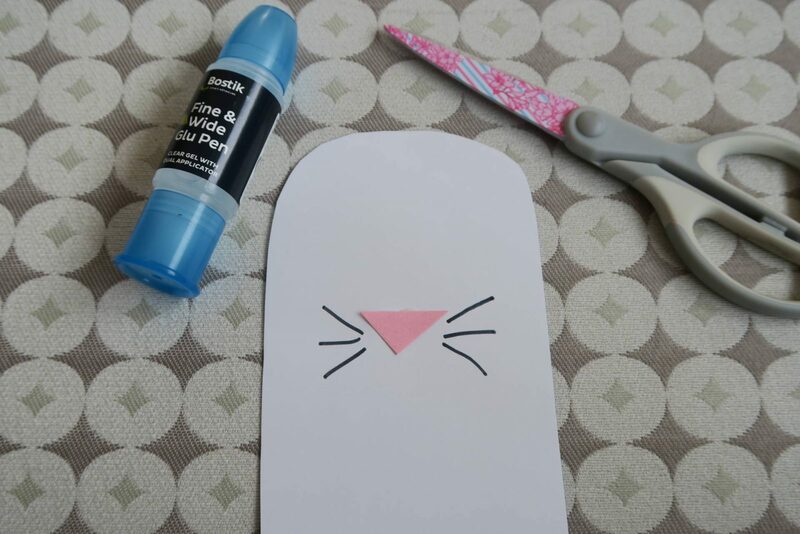 Stick on the pink nose and draw on the whiskers. 3. 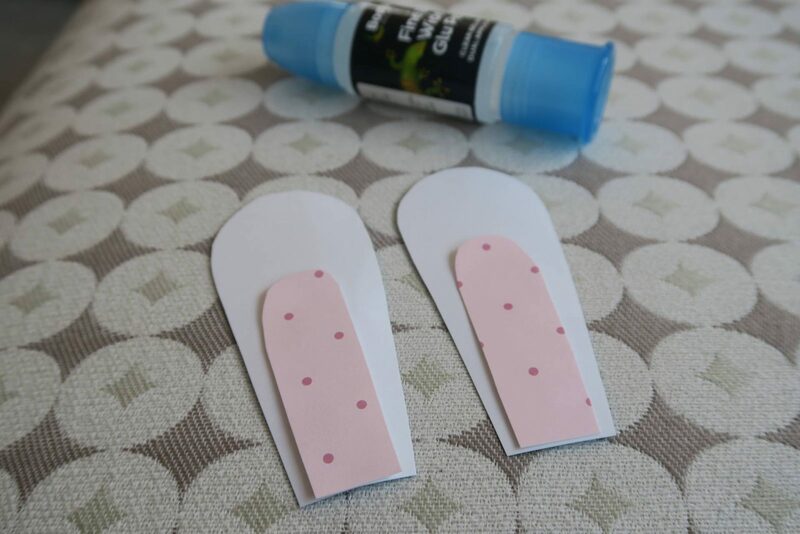 Stick the pink parts of the ears onto the white parts with the glue. 4. 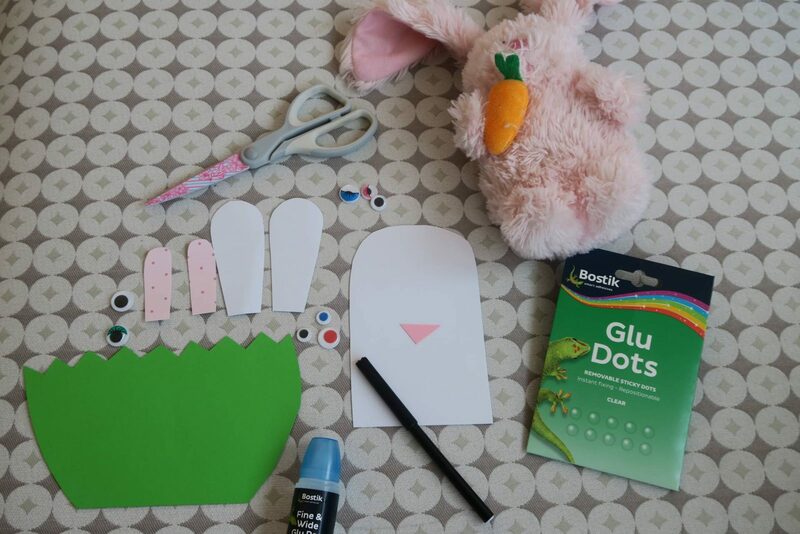 Stick the ears onto the bunny’s head, using Glu Dots. 5. Stick on the googly eyes, with either glu dots or glue. 6. 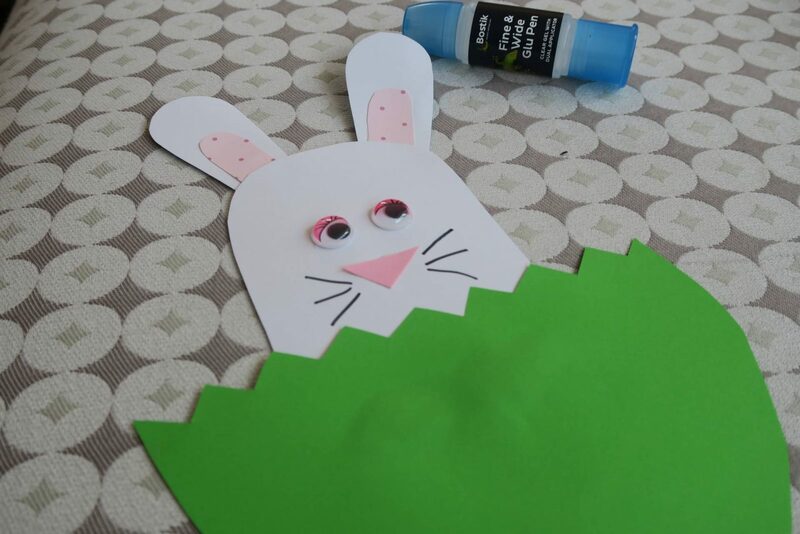 Add glue to the bottom part of your bunny and stick on the grass. Aww this is adorable. I love that the children can get involved and it still looks fabulous. I tend to end up with a choice between letting the children do it or getting a decent end product – you’ve got the balance just right here. 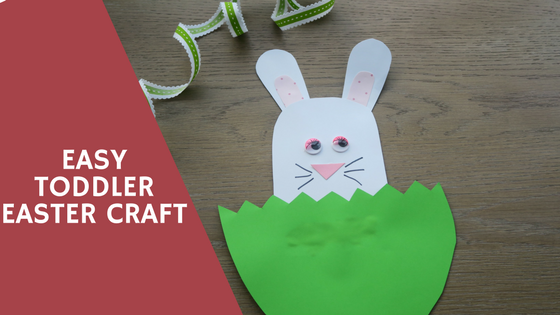 Oh that is so sweet and such an easy craft that I may well give it a go with the Princess this next week or two.